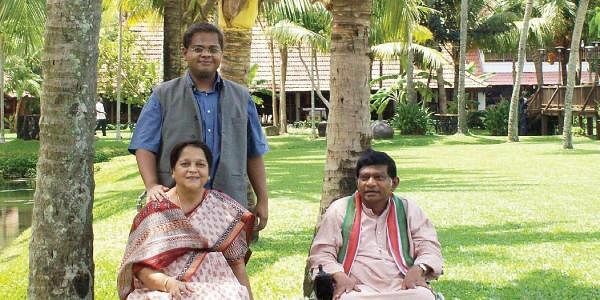 Former chief minister, Ajit Jogi, the husband of Renu Jogi, had quit the Congress last year and formed his own outfit - Janata Congress Chhattisgarh. RAIPUR: The Chhattisgarh Pradesh Congress Committee has issued a show cause notice to its MLA Renu Jogi for reportedly attending a programme of former chief minister and Janata Congress Chhattisgarh (J) chief Ajit Jogi in the state's Bilaspur district. Ajit Jogi, the husband of Renu Jogi, had quit the Congress last year and formed his own outfit - Janata Congress Chhattisgarh (J). The show cause notice, issued yesterday, says that reports of Renu Jogi attending the programme of JCC (J) in Pendra on November 5 were published in some newspapers. She publicly shared stage with the leaders of another political outfit which has "tarnished the image" of the Congress, a state party spokesperson said today. "CPCC General Secretary Girish Dewangan has sought a clarification from senior leader and Kota constituency MLA Renu Jogi within seven days, for attending a programme of another political outfit in Pendra," he said. However, Renu Jogi denied taking part in a function of any other political party and said she attended a family programme in Pendra. "On November 5, I attended 'Nawakhai' (observed to welcome new rice of the season) programme along with relatives and family friends in Jogisar village, the native place of Ajit Jogi. It was a social and family programme, not a political one," she told PTI. "I have never attended a political event of my husband's party. There can be some misunderstanding and I will give reply to the notice once I receive it," the MLA said. Asked about speculation that she may join JCC (J), Renu Jogi said, "This is just an assumption. Presently, I am a Congress MLA."